New prop shaft, cutlass bearing and final seal during summer 2018. Engine and running gear serviced March 2019. New cockpit cover and stainless steel framework 2018. Boat valeted during summer 2018. Recent Antifouling ready for the season 2019. Newly fitted additional safety hand rail to the bathing platform 2019. Anchor , bow roller and ground tackle new in 2016 and lightly used since. Latest software for Chartplotter uploaded March 2019. The Beneteau Antares 6 is a versatile power boat, suitable for cruising coastlines and rivers and also as a spacious fishing platform. The boat has a good balance of exterior and interior accommodation and comfort, including a sizeable cockpit, a galley area and double cabin below. This boat is well presented and equipped, having been carefully maintained and improved by the current owner. There has been significant investment in the engine's transmission system and the boat's anchoring system over the last two years. During my visit to the boat, I was impressed by its good condition, space and ease of use and maintenance. The boat offers a range of opportunities to enjoy being on the water, in a smart and reliable vessel. 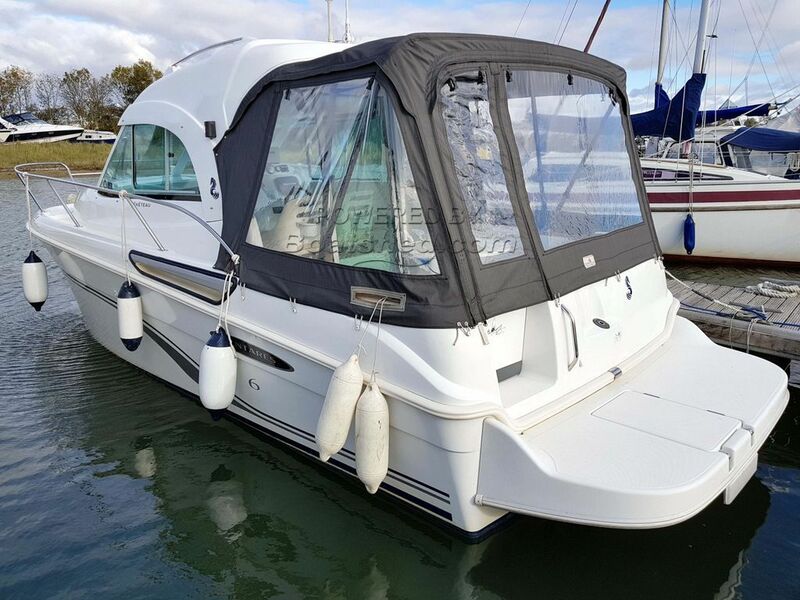 This Beneteau Antares 6 has been personally photographed and viewed by Chris Markham of Boatshed Essex. Click here for contact details.